stories through the powerful visual medium of interactive maps. strive to push further — moving beyond dots on a map. Let us help you tell your story and share your mission with the world. We work with the biggest global organizations and government agencies in the fields of Conservation, Health, Government, Global Affairs, and Education. Blue Raster holds a GSA contract under the Schedule 70- IT Services. Our contract number is GS-35F-0385P. We are a Small Business according to Federal Contracting rules. Blue Raster is a registered vendor on Virginia's eProcurement Portal. Our eVA Vendor ID is VS0000091118. Headquartered in Arlington, VA, Blue Raster was formed by partners skilled in rapid application development – and committed to friendly service. Our development and design team is comprised of experienced professionals with a wide range of expertise in web, graphic, and spatial technologies. Our partnerships with leading geospatial and information technology companies provide Blue Raster with the roadmap to guide our clients toward solutions that meet their needs. In realizing the vision of web GIS, we work closely with Esri, the world leader in GIS software. 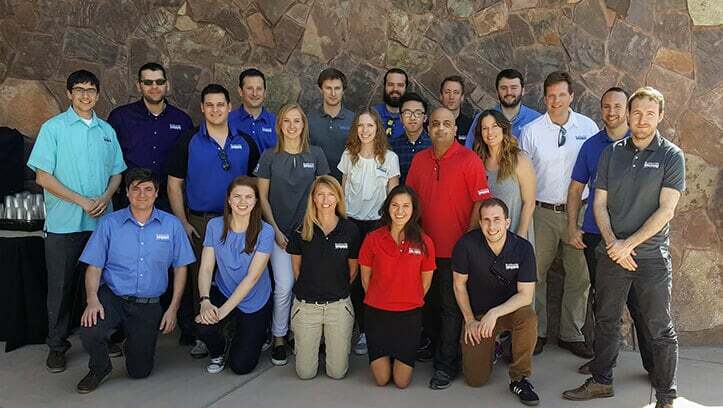 We have certified Esri developers on our team and our developers make regular visits to Esri's Redlands, California, campus, where they help shape future Esri products to address our customer's needs.